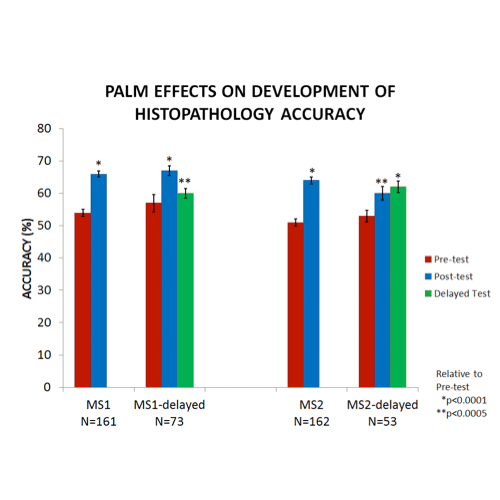 The Histopathology PALM significantly improves identification histopathologic processes (in skin) both immediately following the PALM and for at least 6-7 weeks after. MS1 students completed the Histopathology PALM and associated tests in the Fall of 2011 and 2012 (left and middle groups, respectively) and MS2 students completed these in Fall, 2012 (right group). An optional delayed test was offered in 2011 between 6 & 7 weeks after students completed the post-test. 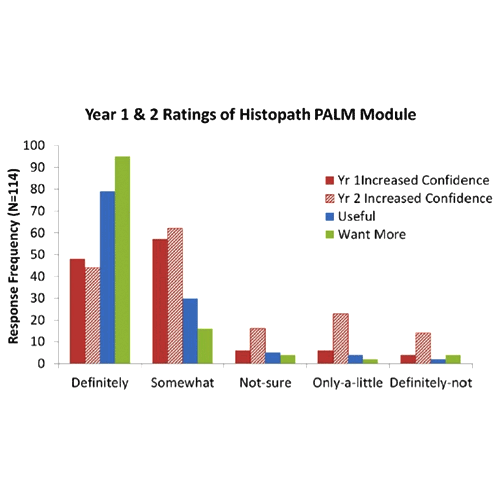 The PALM induced significant increases in histopathologic process determination, and most of this improvement persisted over a 6-7 week period. Fluency measures accurate recognition within 12 seconds. The asterisks and associated p values indicate the statistical significance relative to pre-test values. 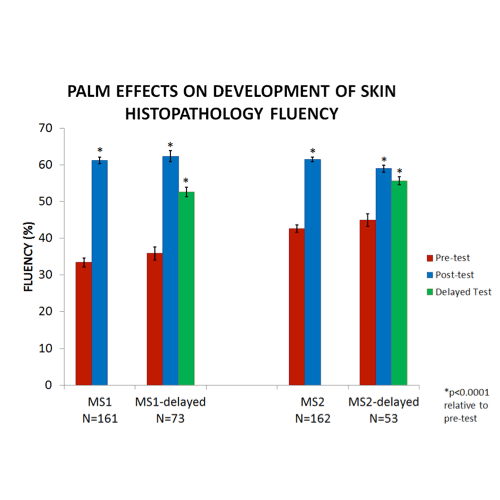 A survey of MS1 and MS2 students indicated that the Dermatology PALM increased their confidence in identifying skin lesions, that they found the PALM useful, and that they wanted more such PALMs in other parts of the curriculum.